Share your experience on barriers when providing care to ESKD patients! 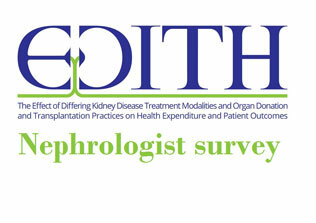 The ERA-EDTA Registry invites all European nephrologists and kidney transplant surgeons to fill out the online EDITH nephrologist survey. 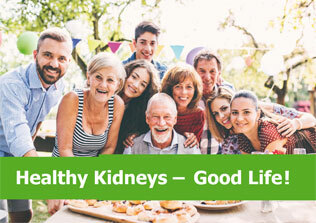 Reduce your Risk of Chronic Kidney Disease (CKD) ! 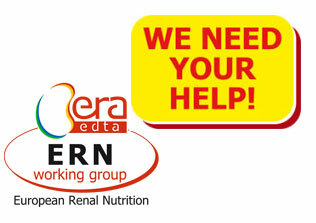 Survey: "IDON-Study on Nutritional Practice in non-dialysis CKD patients"
The European Renal Nutrition Working Group (ERN) invites you to complete a Survey aimed at identifying the clinical priorities in Nutritional Practice in non-dialysis chronic kidney disease patients. Support EKHA while renewing your ERA-EDTA membership! ASN, ERA-EDTA and ISN collaboratively aim to raise worldwide awareness of kidney diseases and to improve prevention efforts. FREE access to NDT online for low and medium income Countries! 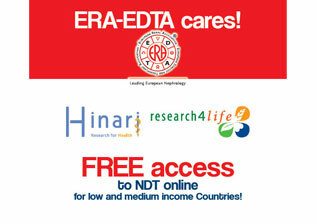 Check out all the possibilities that ERA-EDTA gives to non-profit research institutions in developing nations to access critical research through the Hinari programme and Research 4 life. ERA-EDTA HAS A NEW LOOK! Renewal is essential to grow. Today the renewal is starting from a new logo. Click the link below to see the new logo. The ERA-EDTA establishes ERA-EDTA ENDORSED WORKING GROUPS. This endorsement is given to existing Working Groups of other Societies/Associations that have similar objectives to ERA-EDTA. The ERA-EDTA will establish a working relationship with the existing WG provided that representation within the core group of the WG for ERA-EDTA is given. If ERA-EDTA will allocate funding to the WG this must be for specific matters and must be annually approved by the Council. All Endorsed WGs must be mentioned in this appendix with a brief summary of the mutual benefits. a. EUTox agrees to have two ERA-EDTA representatives within its core group with the same voting rights. b. One of the representatives will be the ERA-EDTA President and will follow the terms of his/her role (i.e. will change every three years). c. The second representative will be chosen by the ERA-EDTA Council, by secrete vote, among the existing EUTox members. He/she must be a Full ERA-EDTA member. The proposal of a maximum number of three names will be suggested by the ERA-EDTA President to the Council after he/she has access to the EUTox membership list. The elected representative will remain an ERA-EDTA representative in EUTox according to EUTox regulations. d. ERA-EDTA agrees to give EUTox a slot during its annual Congress for a symposium. 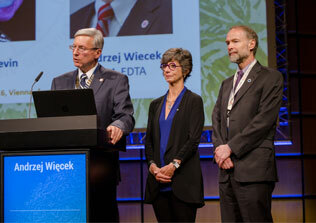 e. ERA-EDTA agrees to help finance two EUTox Educational events a year (with financial support similar to the one given up to two ERA-EDTA CME Courses or with the reimbursement of travel and accommodation expenses for three speakers). Do you have any comments/suggestions? Comment sent. Thank you for your cooperation.